Â The use of PageÂ Admin PanelÂ is to control the contents of a existing page. 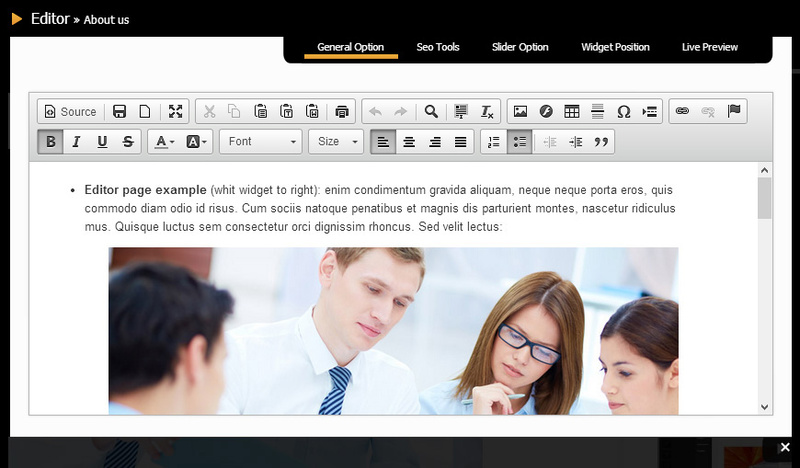 This page with the title ABOUT USÂ is an EDITORÂ page, so youÂ will have , as the image show, an EDITOR with different functions. 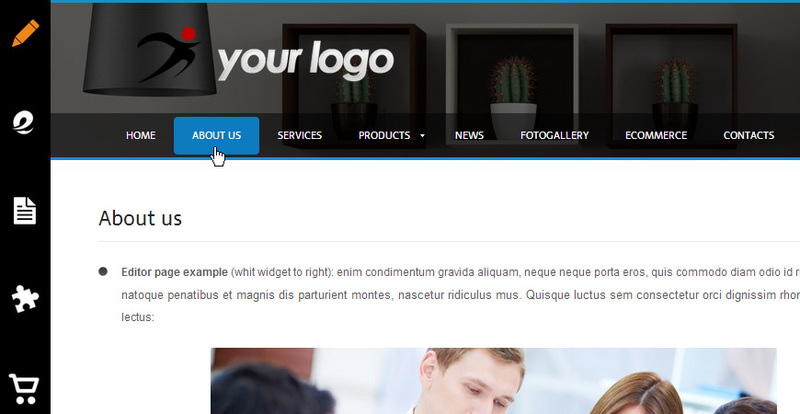 From thisÂ Control PageÂ you can also modify theÂ SLIDERÂ andÂ WIDGET of the page in question. WEBEE permits the production of different typesÂ of page: SEEÂ THE SECTION OF MANUALÂ "PAGE YOU CAN CREATE"